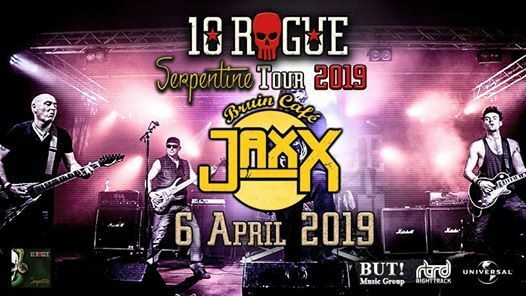 "10 Rogue is a truly international band with members from both Belgium and South Africa. 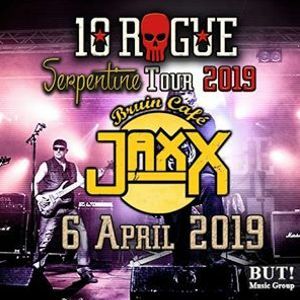 This "new breed of alternative metal" band grew out of the musical friendship of seasoned songwriters Jon Buckley and Vincent Weynen, who were teenagers and mates in South Africa. Although the pair have been writing and co-writing on and off since then, they decided mid-2014 to collaborate on a more focused level, and recruited bassist Stan Verfaillie. In the Autumn of 2014, 10 ROGUE was completed when singer Peter Evrard joined the group and added to the band's own blend of metal-rock, fused by heavy riffs, deep grooves and melodic vocals. Add to that clear classic metal roots and a firm focus on modern melodic hard rock and you have a dynamic, talented and geared-to-go group of musos. In March 2015, 10 ROGUE teamed up with the Indie label, EMP. The team employed the services of top Belgium producer and multi-instrumentalist Tom Lodewyckx, and released their first single and video,“Know Better”, in September 2015. At the time of writing, “Know Better” has had over 10,000 YouTube hits, and has been played on regular rotation on over 160 Internet-based radio stations around the globe. January 2016 they released their second single and video “Dark Angel Princess”. 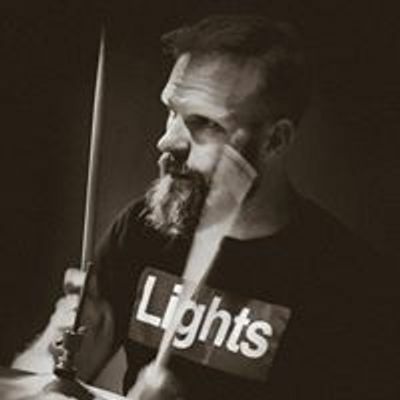 Again making use of Tom Lodewyckx on drums and final mix, the video has gone global on YouTube, generating over 10,000 hits and giving the band no other option than to create a physical live band, which has already been booked for future gigs. Fireforce powerhouse drummer, Christophe De Combe was added to complete the line-up, together with guitar wizz-kid Zan Geeraerts. June 2016 & they released their third single and video “I am the Light” and while working on their debut album they released their fourth video “Love Hate”. Since then, 3 more videos were released: “Erased” which was shot during the UK Tour , “When ya Down” and “Unscathed”. In the aftermath of their UK tour, Christophe and 10 ROGUE decided to stop their collaboration and Bruno Goedhuys joined the band. In 2018 Bruno unfortunately had to leave the band and was replaced by Steve Vanderperren."